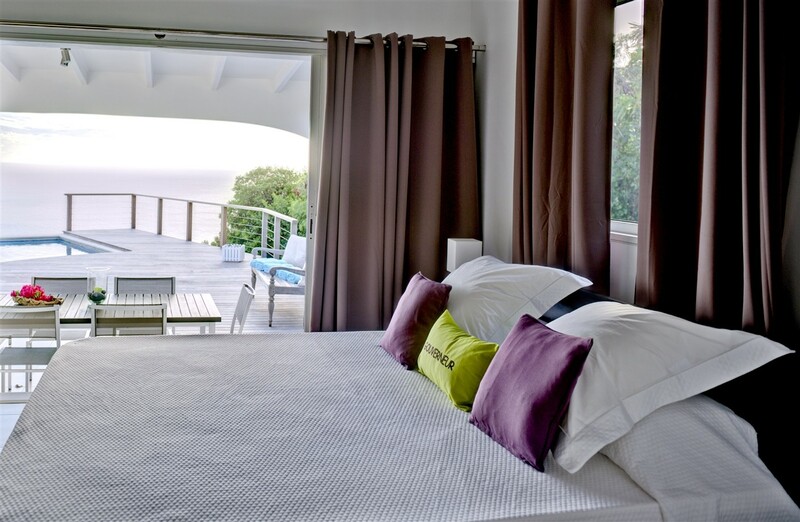 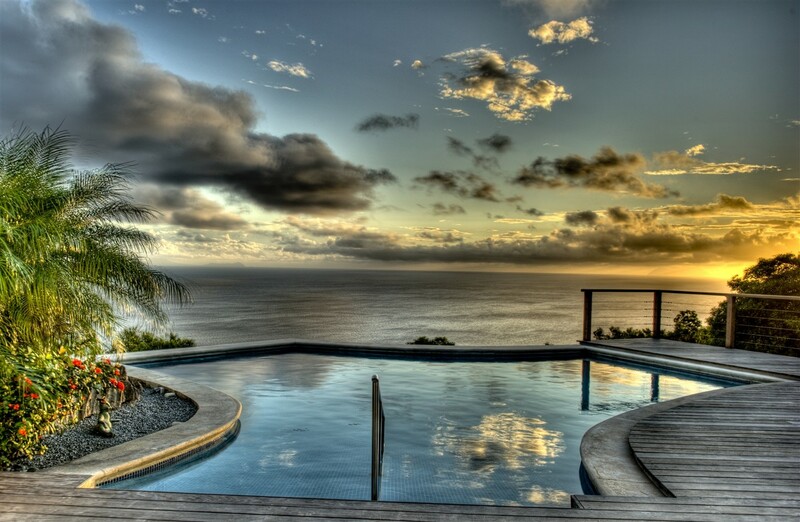 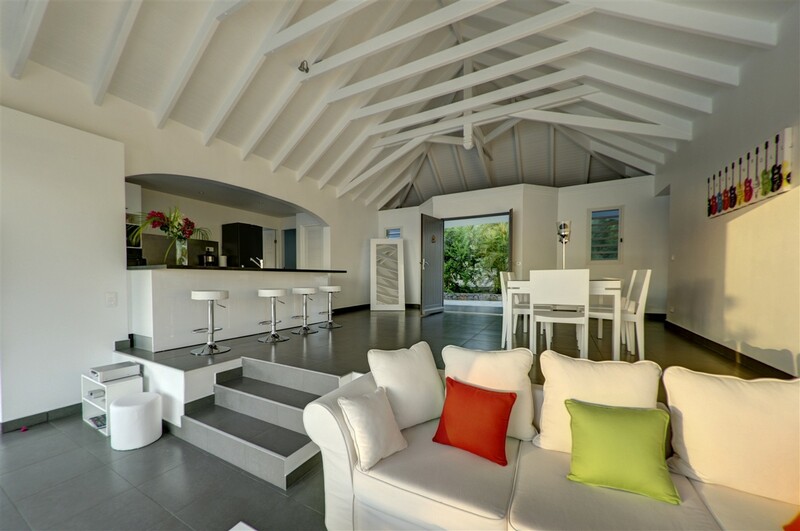 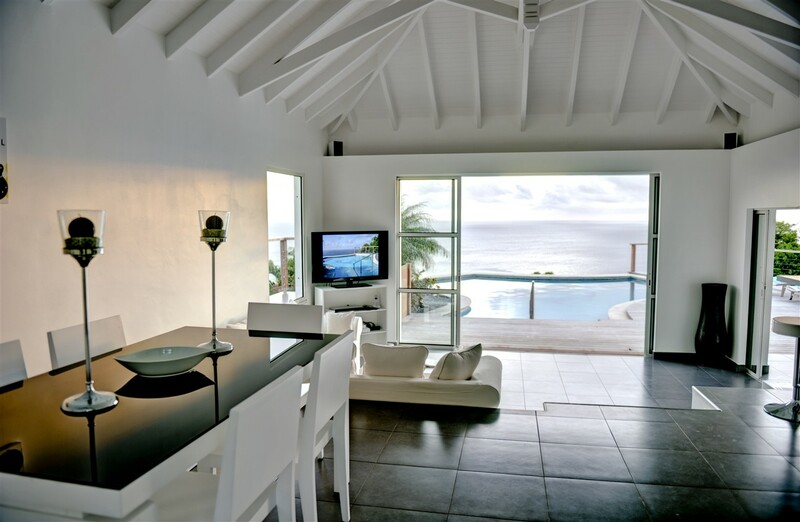 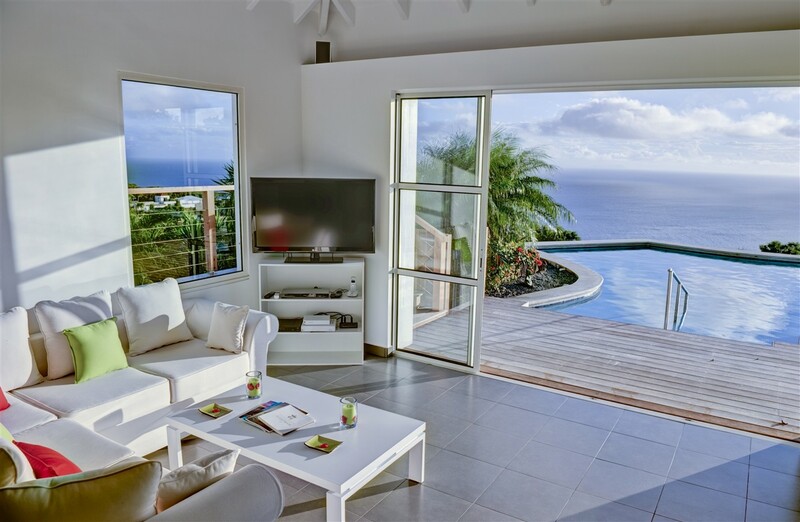 Villa Grand Large St Barts. 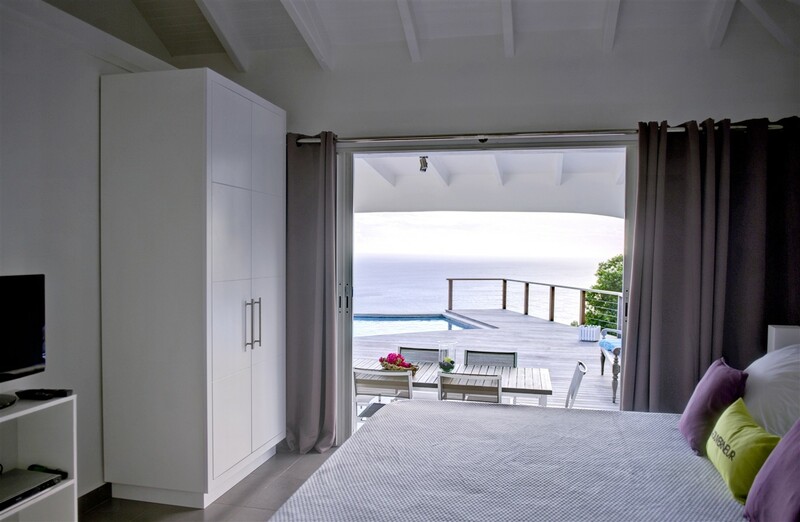 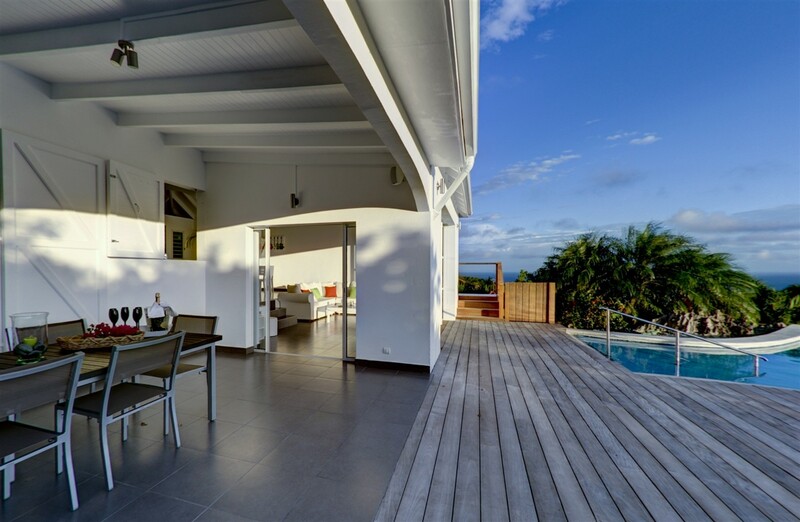 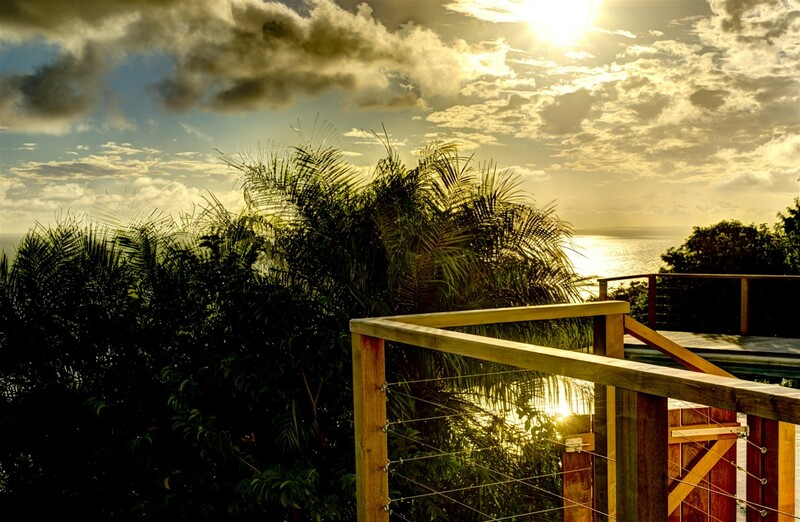 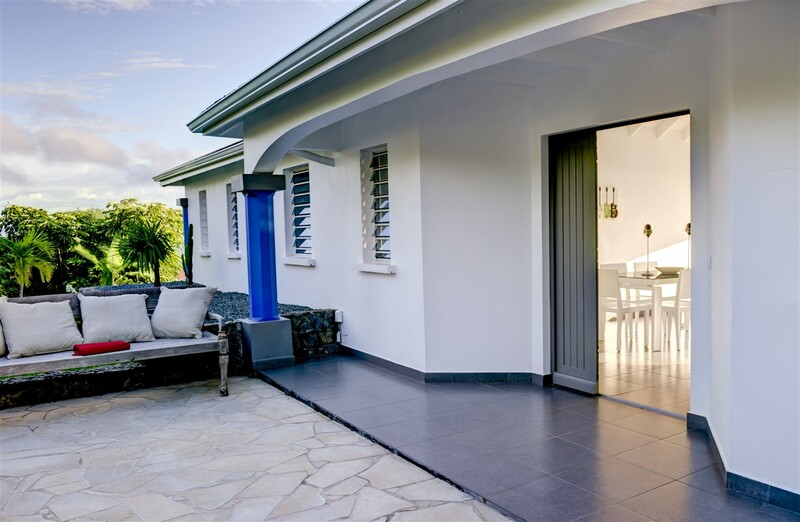 Set atop a hill in the coveted Gouverneur area of St. Barts, the Villa Grand Large is a newly-constructed property with amazing views, a tremendous amount of privacy, and a bit of welcome seclusion that will make your holiday a relaxing and refreshing treat. 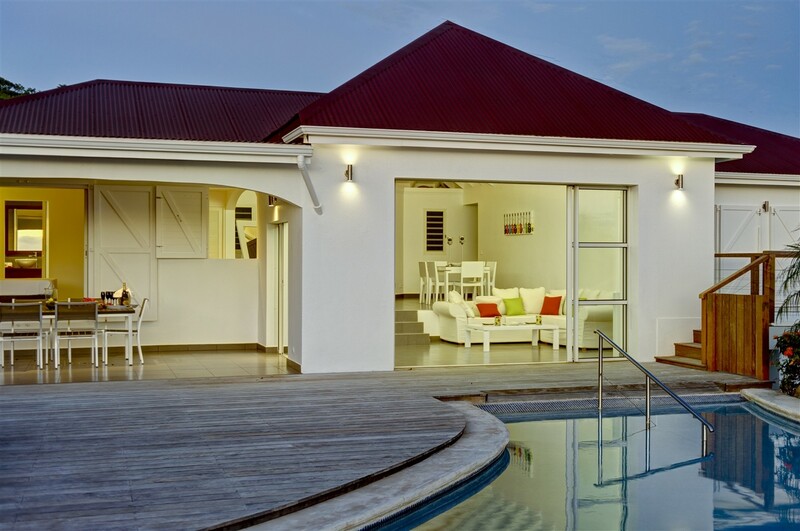 Tucked into a beautifully manicured garden, it offers you non-stop views, endless sea breezes and all of that appealing natural light. 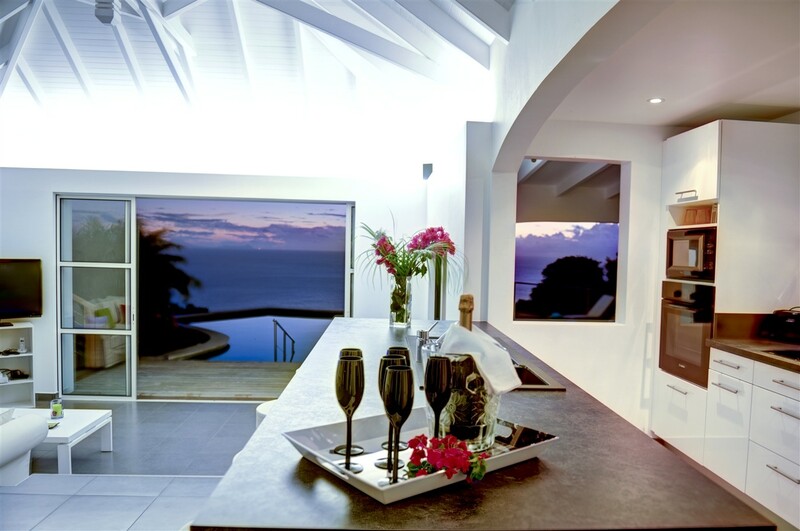 Enjoy starry skies, sunrise coffee or sunset cocktails from the many exterior and interior spaces. 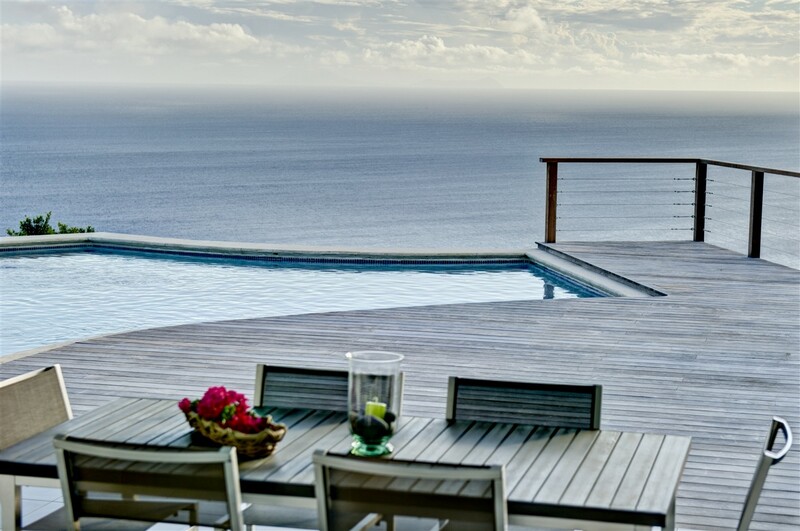 One spot you may all frequently gather is the pool terrace. 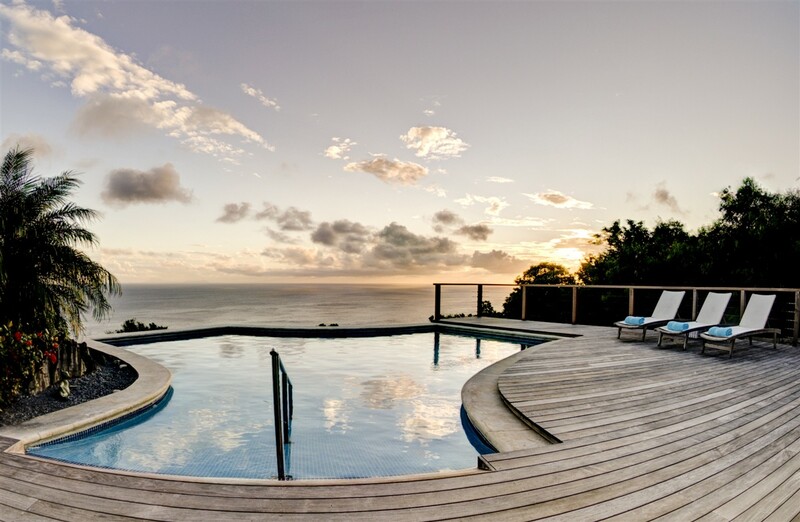 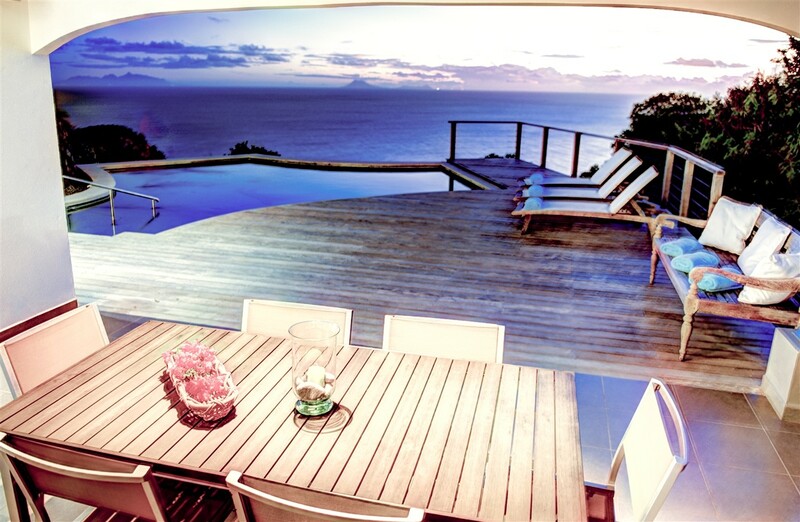 With its uniquely formed pool framed in silky-smooth wooden decking, it is the perfect place to take in the scenery. 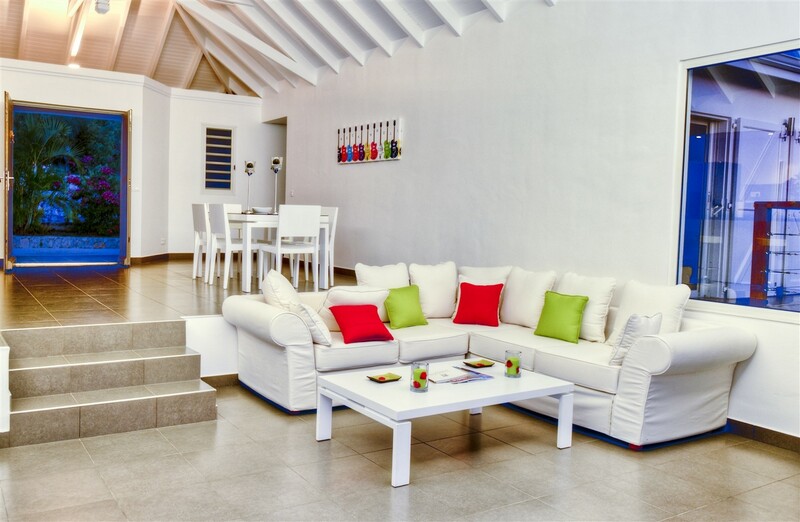 There is a nicely furnished sun deck as well as a covered terrace that serves as an unforgettable al fresco dining room. 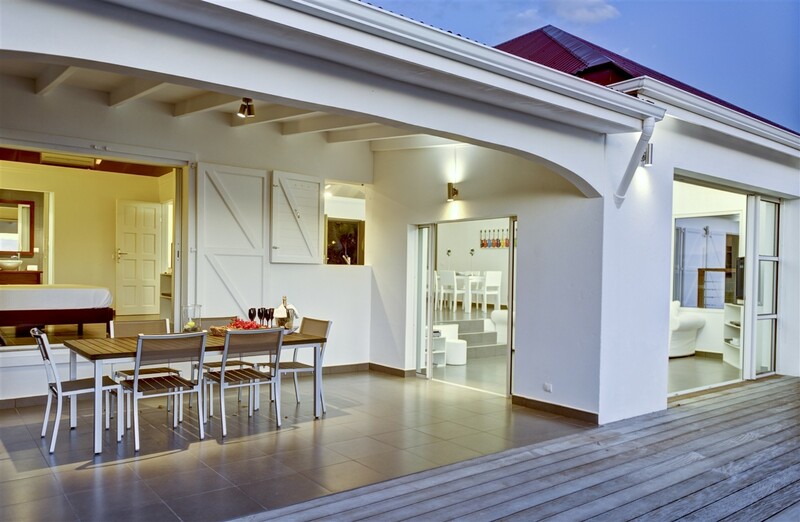 This is but steps from the open-air living spaces inside. 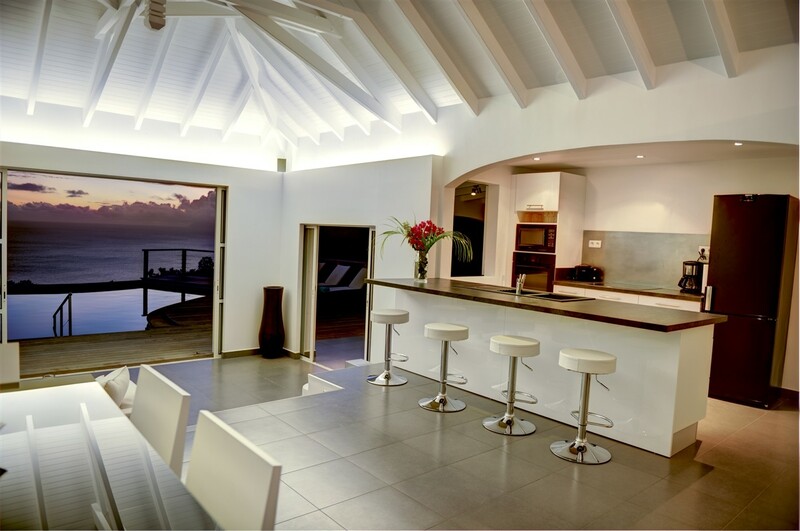 The interior of the villa features a sunken lounge done in a soothing white palette. 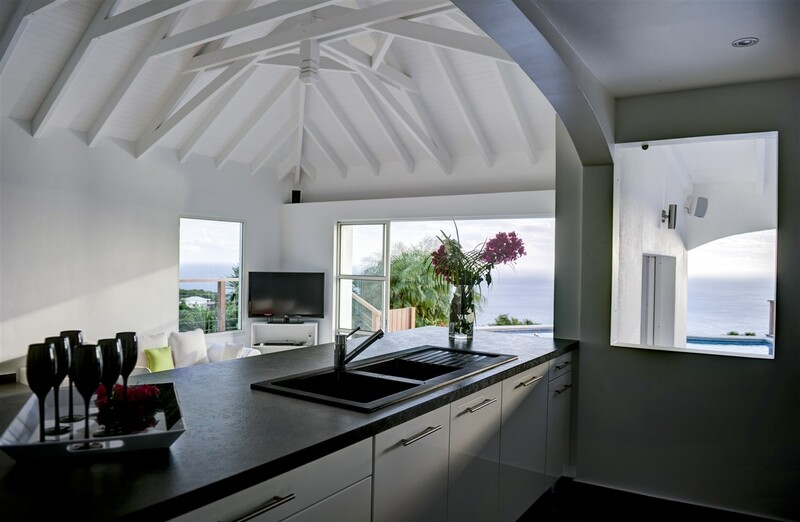 With the high ceilings overhead, the great room area also features a formal dining suite and a breakfast bar that leads into the kitchen. 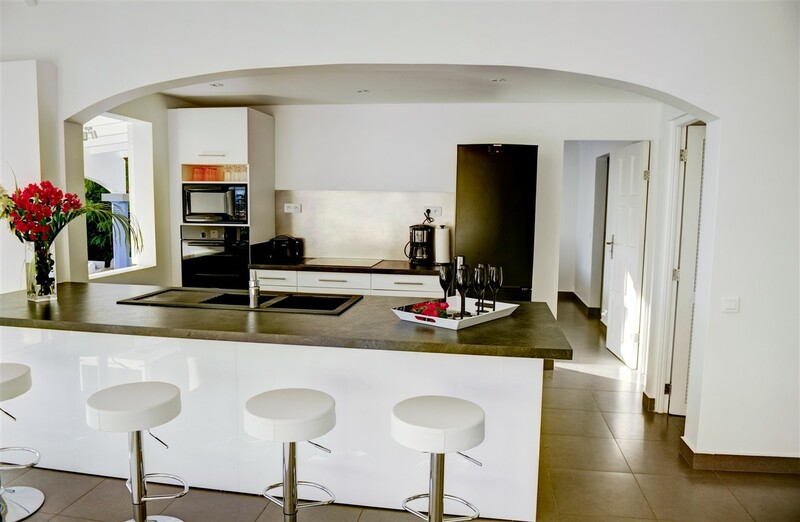 This is a truly gourmet space that has been furnished with the best appliances and gear. 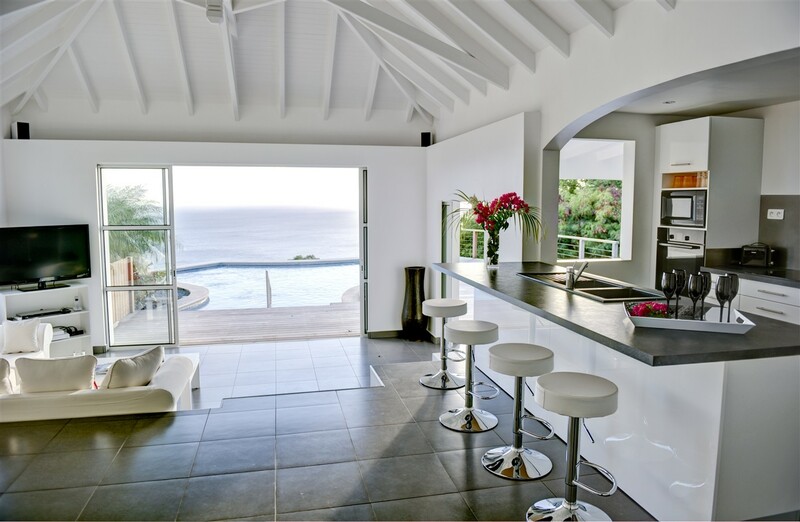 Open to the terrace, it allows you to enjoy the scenery as you prepare a meal or drink, and to make outdoor entertaining a breeze. 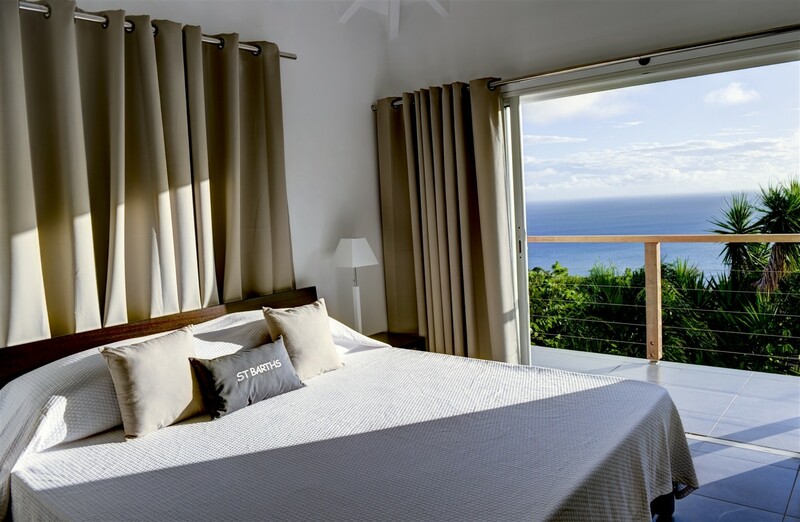 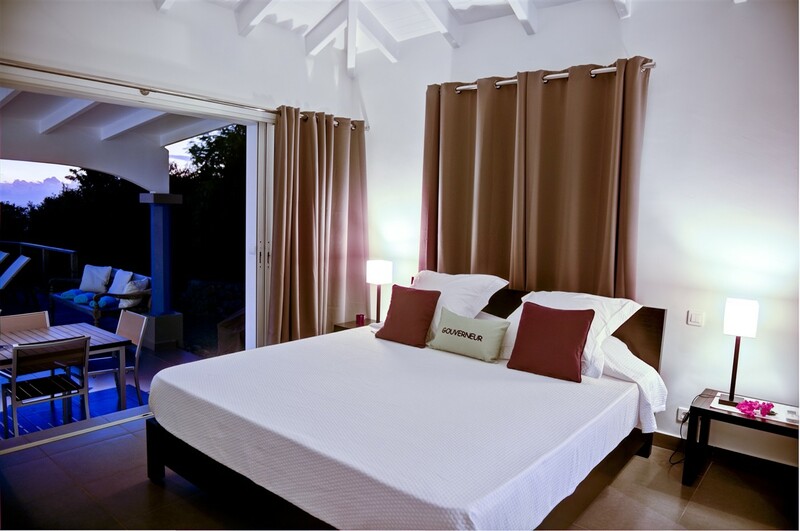 The three-bedroom villa has been designed to provide ample amounts of private living space, and each of the bedrooms is a master-sized suite with amazing views of the ocean and direct access to the terrace. 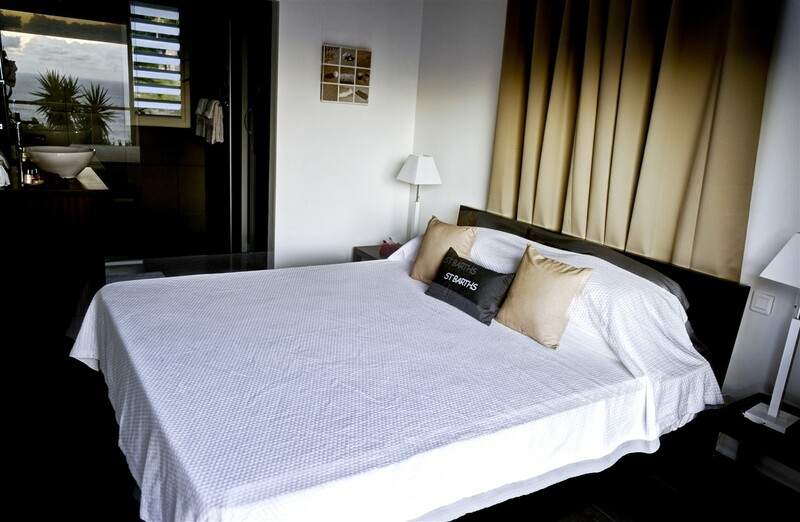 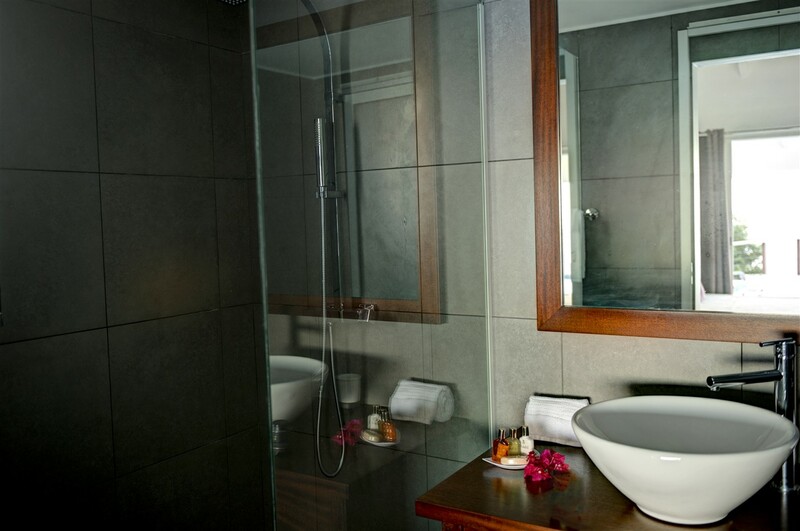 Each has a queen bed, a premium entertainment system, and a large and private bath with shower. 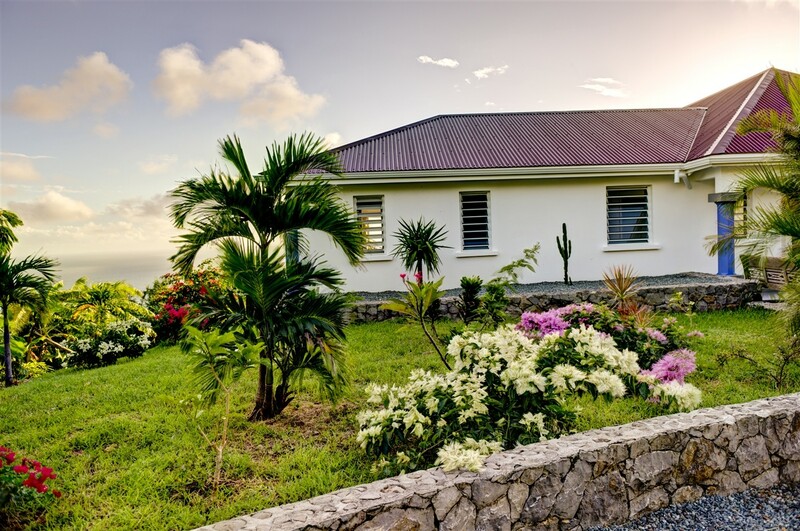 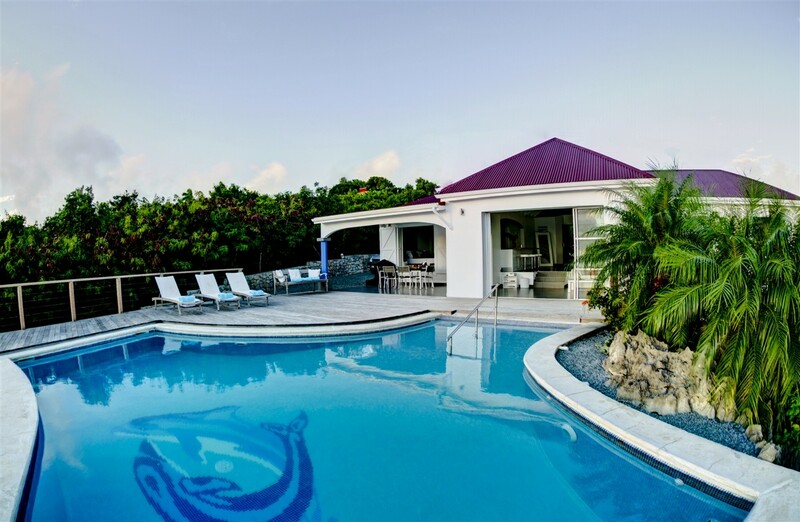 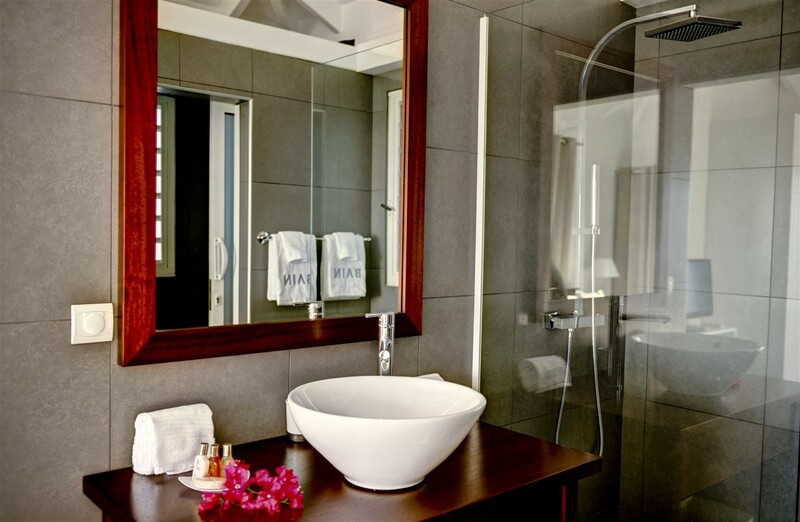 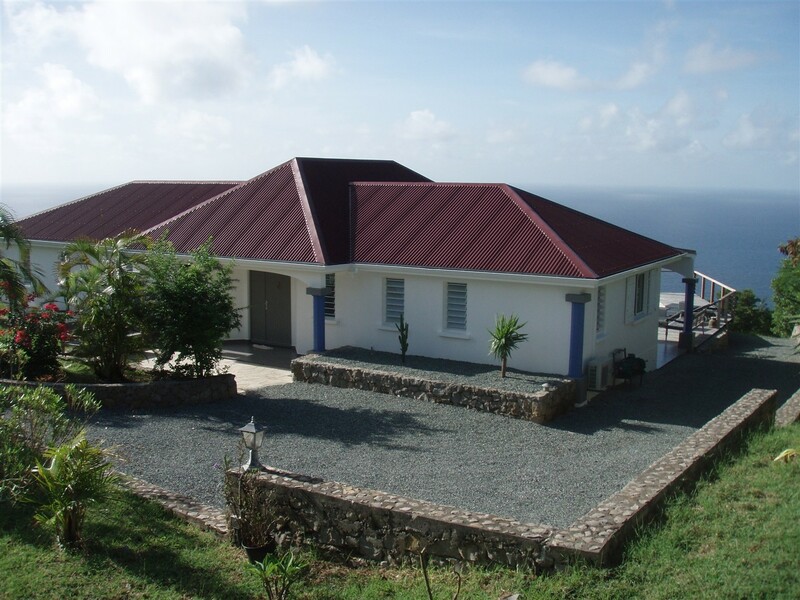 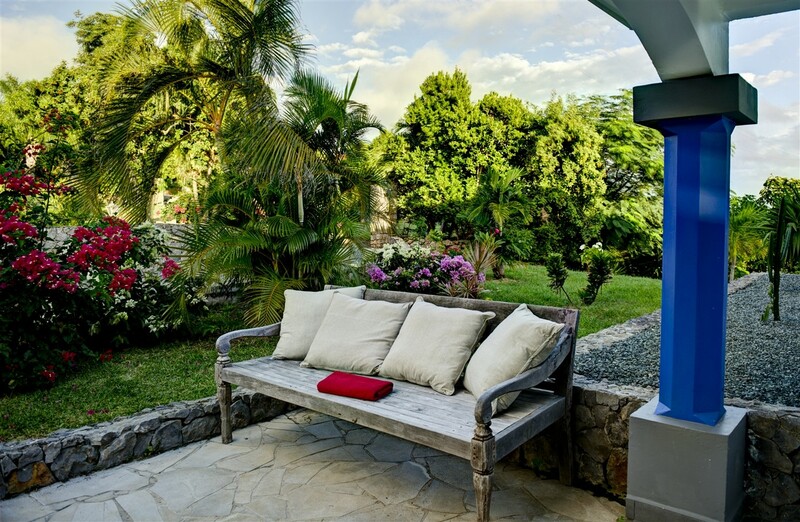 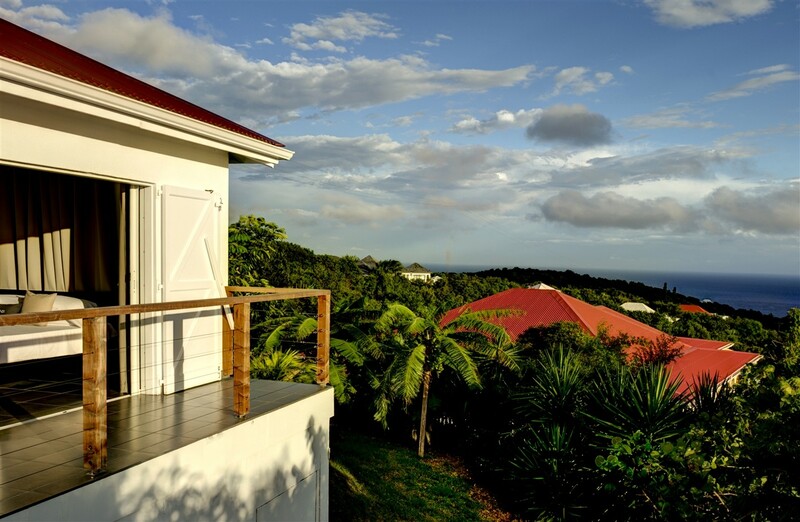 If you have been craving a getaway with friends or your family, and you want all the island scenery you can savor but you also want luxury and total privacy, the Villa Grand Large will really deliver. 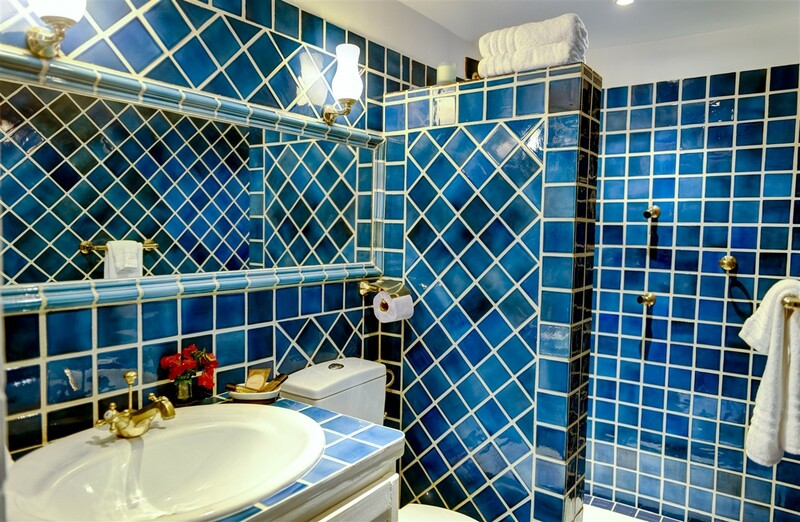 Note: Villa Grand Large is within walking distance to famed Sante Fe restaurant.